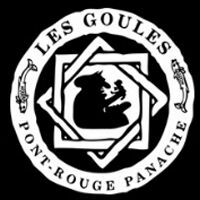 Les Goules is coming to Montreal and you are looking for tickets? 514-Tickets definitely has what you need. As a dedicated ticket broker, 514-Tickets will allow you to find the tickets you are looking for, from our wide variety of events, concerts and shows as well as sporting events. You can make your purchase online or by telephone at 514-245-5387. Our knowledgeable dynamic staff will be happy to assist you and answer all of your questions. You will also benefit from our 100% Satisfaction Guarantee and more. We guarantee delivery of your purchase by priority mail which is quick and safe. Don’t wait ! Order your tickets now for Les Goules at 514-245-5387.